Comments: Standing 2ndfromleft (Nee: ) | Ithaca NY USA | 1921-1940 | Comments: This is photo number 78606. 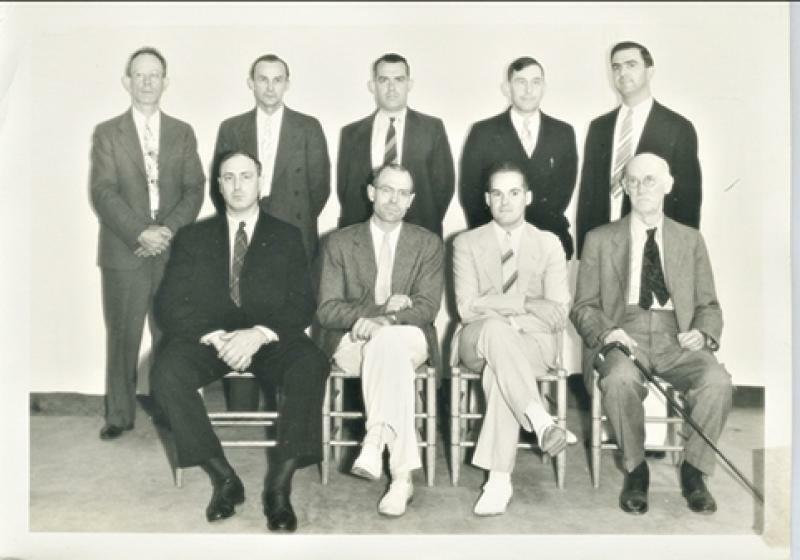 Deacons or trustees of the Tabernacle Baptist Church, Ithaca, Tompkins County, N.Y. circa 1940. SEATED, LtoR: (1)Mystery; (2) Mystery (perhaps Charles JOHNS);(3)Mystery; (4) Mystery. STANDING, LtoR: (1)Mystery; (2)Mystery; (3)Clifford SMITH; (4)Edward Milton JENKINS (my father); (5)Mystery. Professional photographer: Edwin C. UDEY, a member of the congregation.